BBC’s The League of Gentlemen was a hilarious pastiche of comedy stories that, at heart, had an endearing love for the hammer-horror genre. So it’s fitting that one of the show’s creators, Jeremy Dyson, has co-written and co-directed with Andy Nyman, a movie reminiscent of a Vincent Price platform, tying together horror vignettes throughout a mysterious overarching narrative. In his latest project, Ghost Stories, the horror-to-comedy ratio of The League of Gentlemen has been reversed to great effect. Genuine terror with a heart of theatrical comedy, Ghost Stories is born of the same formula Dyson has been working with since Royston Vasey first tormented our screens with exploding pets in 1999. But in his 2018 project, the screams far outweigh the laughs. The movie first introduces Andy Nyman’s Professor Phillips Goodman as the reliable narrator, protagonist, and infamous paranormal-charlatan-exposer. We follow Goodman as he makes his documentary about an ex-debunker who has come to believe that spooky ghosts actually do exist, and he happens to have experience with three cases that contain irrefutable proof. 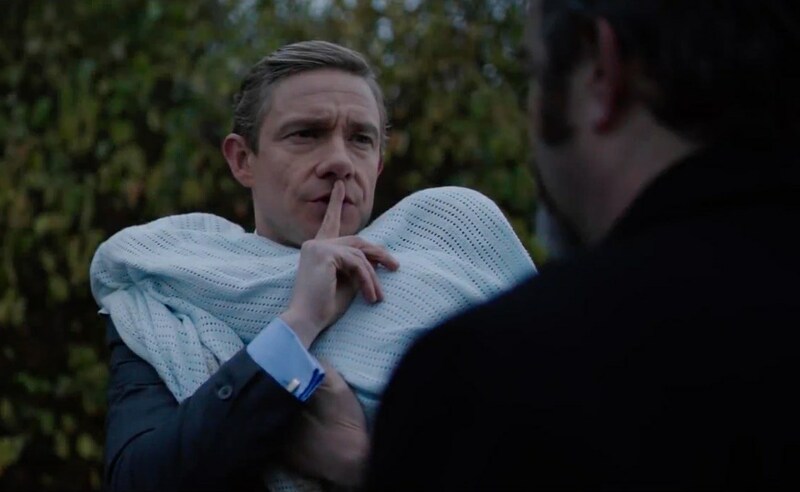 The is the set up that allows Dyson’s expert horror-story-telling skills to thrive, giving Martin Freeman a wide brith of opportunity to display his acting chops. It’s the fantastically aggressive Paul Whitehouse that sticks with you, who we not only empathise with, but fear for his life as he explores a terrifying (if cliched) ‘nut-house’ setting. Alex Lawther deserves an extra special accolade for portraying a traumatised teenage boy confined to the clutches of an extremely sinister looking demon. The scares come frequently and efficiently, and while there are well-timed jokes throughout, laughter is likely to come from a sense of self-awareness – how can you be this scared by a movie called Ghost Stories? Dyson and Nyman’s horror extravaganza is one of the best British movies to hit the cinemas in recent years. While the climax might have some yearning for something more convoluted, Dyson and Nyman have executed the basics of the horror movie genre like a true master of laughter and terror.